Many a times garage doors are taken for granted until they stop working. Whether you need your garage door repaired or replaced today, or any other day, you don’t have to miss out on work – ASAP experts will schedule a service convenient to you! ASAP Garage Door Services is a fully licensed, insured and bonded company. 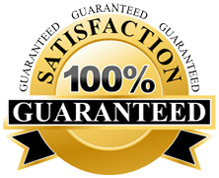 This makes us the perfect choice for all your garage door service needs. We have performed hundreds of garage door repairs in Freehold and we can fix yours too! To fix an appointment for same day inspection, call us at (800) 490-0968. Planning to replacing your existing garage door or building a new one? There is so much to consider – right from its design to color and latest smart technology of openers. Contact ASAP professionals – we can perform residential garage door replacements in Freehold at most affordable prices. Is your garage door damaged, cracked or sagging? ASAP experts can perform a simple repair by providing additional support or re-balance your door. We’ll be more than happy to provide you a free repair estimate. The moment your garage door hums, is loud or restricts lifting the door – it’s time for a professional diagnosis. Allow our experts to carefully investigate the problem and come up with the best possible solutions for you. If need be, we can efficiently perform garage door opener replacements in Freehold. With years of garage door industry experience, we’ve likely repaired every brand available in the market. Our professionals are well equipped to handle almost any repair and garage door maintenance needs in Freehold. To hire ASAP garage door services in Freehold (07728) all it needs is a phone call or an email. You can call us at (800) 490-0968 or fill out this short online form and get a free no-obligation quote in no time. This entry was posted in Freehold on July 15, 2013 by admin.